Perforce today continued its push into the bigger software development life cycle and DevOps with the acquisition of Swedish Agile planning tool provider Hansoft. Terms of the deal between the privately held companies were not disclosed. 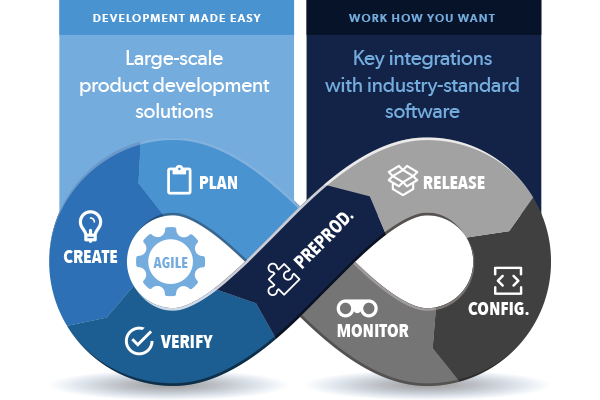 “We combine the developer productivity you’d find in GitLab or GitHub plus add scaling and repository management for version control and builds, and now have project planning and management,” explained Tim Russell, chief product officer at Perforce. Perforce’s solution “helps companies transition to agile,” said Colleen Kulhanek, Perforce vice president of marketing, by offering support for the Scaled Agile Framework. Hansoft has been a popular planning tool in the media, entertainment and gaming industries, Russell said, where development is rapid but predictability and linkage are difficult to attain. The acquisition “bodes well for other industries seeking predictability and [quick] iterations,” he said. DevOps. Scale. Modern development practices. That, Kulhanek said, is where Perforce is focused going forward.